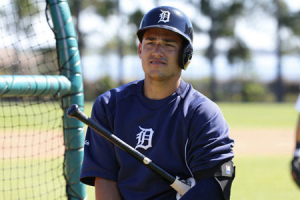 Early in the 2014 season Detriot Tigers shortstop Jose Iglesias suffered stress fractures in both of his shins. As a key player during the team’s 2013 playoff run, many were concerned about his return. After seeking treatment from foot, ankle and knee specialist Dr. Thomas Clanton, Iglesia is now on track to return for the 2015 season. Following MRIs and CT scans earlier in the week, Ingelsia has been cleared to move forward with his rehabilitation plan. “Basically, it [the tests] showed that the bone has healed to the point that they feel comfortable now going back to doing lower-body rehabilitation and conditioning and start loading that and see how it goes,” said head athletic trainer for the Tigers, Kevin Rand.